There are seven reasons why integrated network and endpoint visibility matters for modern security. Hacking, theft and compromise often rely on stealth. Exploits can masquerade as part of legitimate-looking emails, innocuous attachments can contain malicious code, and systems may remain unpatched or still have back doors that become entry points for stealthy intrusions. These factors make distinguishing legitimate from malicious behaviour more difficult. 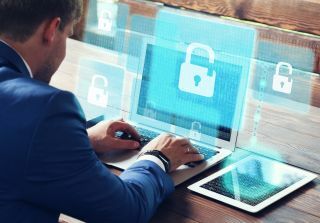 However, the longer a threat hides in network traffic or hibernates on endpoints, the more expensive it becomes to fix, and the greater the risk of data and reputation loss. Essentially, if a threat cannot be seen, it cannot be secured. A modern intrusion is not a one-time event – it’s a series of steps in a process that spans the threat lifecycle. Modern intrusions often employ tailored and automated activity at each step of the threat lifecycle, optimising the intrusion for the exact task it has to perform at that phase of its life. The foundation for detecting – and preventing – modern intrusions is providing visibility over all phases of the threat lifecycle. Without coordinated visibility from both networks and endpoints, security teams are, at best, overwhelmed by alert overload. At worst, they are operating half-blind. Without visibility, there is no detection, prevention, or possibility for response. Modern cybersecurity risks are processes, not single events. They span all phases of the threat lifecycle as they move over the network and across the endpoints, as the attacker seeks to find and then steal, kidnap or destroy valuable data. The longer threats dwell, the more expensive they become to resolve – if they are not stopped before attackers complete their mission. With deep, real-time and historical visibility across networks and endpoints, companies will be able to detect and prevent threats that are often invisible to security teams, making them more effective and efficient. It’s this that will enable organisations to fight the threats of the modern world.